Heads up, Philly employers! This new law takes effect right away! Last night was our firm’s fantasy football draft. 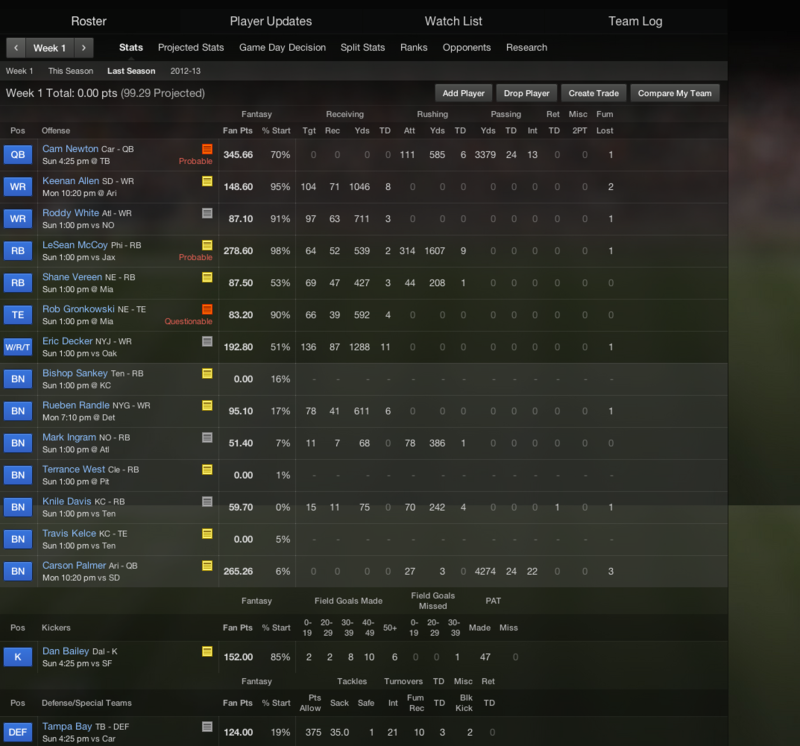 Here is my team in our 12-team league. Feel free to grade it in the comments below. So, no offense folks, but returning to the bloggerdome weary, I was not looking forward to cranking out a post for today. But, thankfully, I came across this report from Lorraine McCarthy at Bloomberg Law. Philadelphia Mayor Michael Nutter signed this legislation yesterday, which amends Philadlephia’s Fair Practices Ordinance to require that employers reasonably accommodate an individual’s need to express breast milk. Reasonable accommodations include providing unpaid break time or allowing an employee to use paid break, mealtime, or both, to express milk and providing a private, sanitary space that is not a bathroom where an employee can express breast milk, so long as these requirements do not impose an undue hardship. As you may recall, back in January, Philadelphia began requiring employers to provide reasonable workplace accommodations for employees who have needs related to pregnancy, childbirth, or a related medical condition. The new lactation law takes effect immediately.